You want to start a company that makes the world a better place. How are you going to do that, then? I’ll tell you how. And I won’t just tell you how to start one in the UK, I’ll tell you how to do it in Myanmar too. And if you can do it in Myanmar, I’m pretty sure you can do it anywhere in the world. I love coworking spaces. I love to visit and work from new ones in new countries. In London, I spend most of my time in Impact Hub Westminster, and I’m even on their website as a coworking lifeguard. Joining a supportive community is a vital ingredient in your start-up success, so do it! Where else are you going to make friends that get you through your hard times, and help you celebrate your wins? Check what’s around you and go for a look, or join a tour of coworking spaces in London. What do you do if no community exists? You start one. That’s exactly what Allison Morris (pictured above), and Pete Silvester did with Project Hub Yangon. The space launched in 2013, but the community building work really began when the pair hosted Global Entrepreneurship Week in Myanmar in 2012. They hoped that Project Hub Yangon would become a place for like-minded people to discuss ideas, work on projects and create businesses. That’s exactly what’s happened. Finding new members, and managing the space are the daily battles of every coworking space, but their vision has become a reality. In their first year, as well as hosting the space for members with local space manager Zar Chi, they supported 5 local start-ups through a sponsored incubation program. “It’s still a lot of work, but it’s worth it to support the local entrepreneurial ecosystem.” Allison Morris, Co-founder. When I got there, they’d just installed their third independent internet connection, to deal with Myanmar’s notoriously unpredictable service. It was one of the fastest I found in Yangon. They’ve even got a an emergency battery that keeps the wi-fi going even when all the other electricity goes out! If you’ve got some work or research to do while you are in Yangon, definitely check it out. 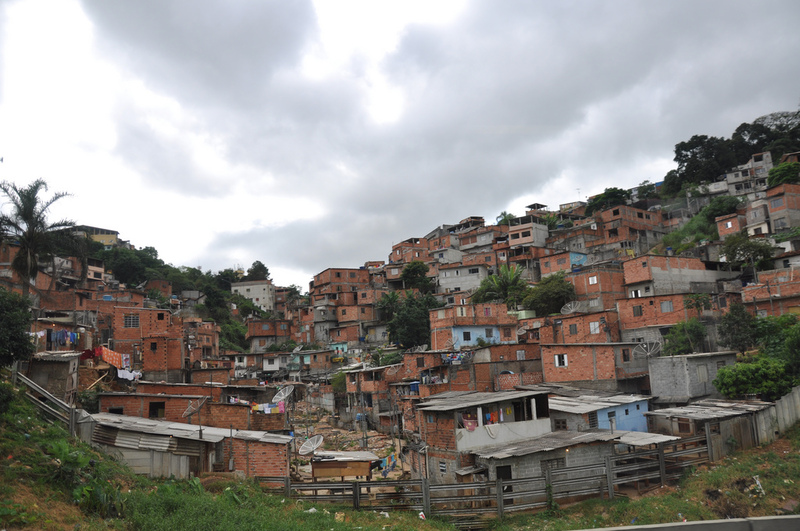 Three years ago, Caroline Neutzling started a blog about the favelas in Brazil. She was studying in Rio, and couldn’t find a good source of information for what was really happening in the poor communities, so she started finding out her self: “I really needed to know what was going on, from the people living there, so I started to find out and write about it. I thought other people might be interested too”. They were. Enquiries started coming in through the blog, and for one and a half years, Caroline, or Caca as she prefers to be called, has been running a new, better kind of favela tour. Those of you who have seen the award winning Brazilian film City of God, or even the more recent Elite Squad 1 and 2 might be curious about the realities of life in the poorest communities of Brazil’s largest cities. Often referred to as slums, shanty towns or favelas, these growing communities are playing a large role in megacities around the world. Of course as shown in the films, life in these communities can be tough and there is violence, but perhaps surprisingly, two thirds of these communities in Brazil have sanitation, and more than 90% have water, electricity and waste collection. On the second day of the Brazil Inspiring Adventure, we plan to visit Brasilandia, a low income community in the north of São Paulo city. We shall see with our own eyes what life is like, and visit some of the organisations making a difference, and improving their local community. During the visit we will be able to visit to a community run organic garden, and find out about a conservation project for the forests in the surroundings areas. We’ll have the opportunity to buy some hand made recycled products designed by a ladies’ cooperative, visit the poorest areas, see the street art, meet some of the inhabitants, learn folkloric songs and dances and discuss the changes that the community is going through and how they are helping each other to improve their lives. Professor Graziella, PhD. MBA. from the University of Sao Paulo, has offered to join us for the beginning of this trip into Brasilandia, and tell us about the projects she has encountered through out the years, setting the scene for understanding social enterprise and development in Brazil. Professor Grazilella is a social enterprise expert, and is the Deputy Coordinator of the Center for Social Entrepreneurship and Management in the Third Sector. Finally, when we visit Rio, we’ll also visit one of the communities there, called Cantagalo. You can see a video of Cantagalo on the BBC website here – you might be surprised to see the ballet and boxing classes. The video introduces us to the young entrepreneur who wants to change people’s perception of life in these communities. As you can see, it may not be what you expect.